Just in case you haven't tasted this new limited-time offer Double Choco Crumble Hotcakes. 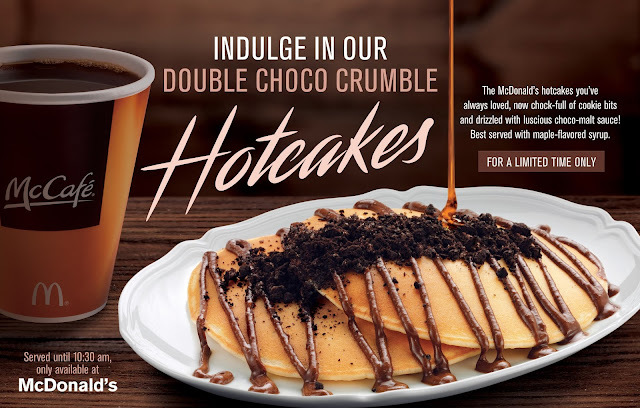 It’s the original golden brown Hotcakes that Filipinos have come to love, now topped with cookie crumble, drizzled with luscious chocolate-malt sauce, and served with maple-flavored syrup. With these delectable ingredients, Filipinos can continue enjoying a great breakfast experience that only McDonald’s can offer.